Bedside Manner - I Love ABA! 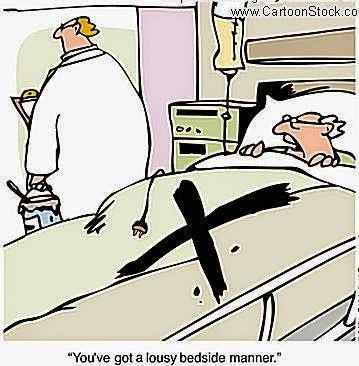 I was very recently having a discussion with some colleagues about a quite real issue in this field of…lets say a lack of bedside manner. I have posted previously about ABA Haters. While there are some people who are anti-ABA because they truly are against what we do and do not wish to see individuals with special needs receive intervention, there are others who don’t really hate ABA. They hate US. By “us” I mean the professionals who provide ABA services. They find us to be about as enjoyable to work with as sucking on a lemon. Your role as an ABA Therapist, BCBA, Behavior Tutor, etc., is not to be “The Wizard Who Knows All”. Your role is to disseminate the science, share your expertise, and cooperate with people to teach them the steps to do what you do. I have heard many company owners say to clients “our ultimate goal is for you to not need us….for you to learn all of this so thoroughly that you can implement it yourself”. If that is really the goal then handing a stressed out single mother a 12 page behavior plan won’t meet that goal. Definitely not. Consider this a call to action to my fellow troops in the field. Strive daily to NOT be the type of professional who views their caseload as “me” vs “them”. The client is not your enemy. They also are not idiots. Do they have your knowledge of behavior and data analysis? Maybe not. What they do have is an impressive data base of knowledge about their child (or student) that you need, in order to do your job. 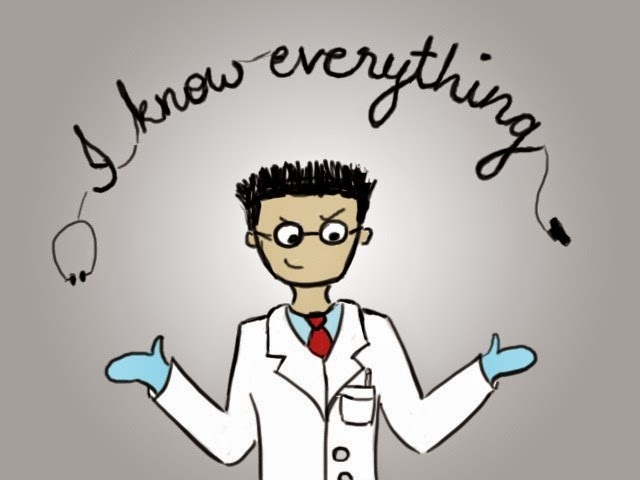 Repeat after me: I do not know everything. I need this parent/teacher/staff to work collaboratively with me, and they won't care how much I know until they know how much I care. You are with my child for an hour, maybe a couple hours or half a day. I am with my child 24 hours, 7 days a week. Do not talk down to me either or good luck to you. I have to hold strong even at 3am and he decides it's time to get up after 3 hours of sleep for me……. When we discuss goals- make them functional for his life at home with me - not just your hour or two hour session. I need to know what works even when we are all bone dead tired or stressed to the max or when we have some down time to cuddle. Until you know what it’s like to be with my child 24/7, don't ever assume your way is best or think I "should" have done something. Cooperation is the key word here.